The Campion had landed at London airport some 20 minutes ago. Most passengers should by now have disembarked. But around the ambulance there are still a couple hundred people: journalists, photographers, ordinary people and airport staff. Through this compact mass there is a narrow path opening up towards the ambulance doors which are wide open. The throng is observed by a few curious passers-by who elbow their way through while asking: – Who are they waiting for? They only get a few dismissive headshakes for an answer. But finally a friendly soul enlightens them: – Vivien Leigh. During all this, Vivien Leigh remains with her husband – Sir Laurence Olivier – inside the plane. She is refusing to get off. She sees the throng surrounding the ambulance when looking out and she knows what is expecting her. The three doctors surrounding her are conferring regarding her condition and allow her wish to be granted. They finally agree to send for a private ambulance. Vivien Leigh stands up, fixes her hair, ensures that the little white hat is suitably positioned and walks determinedly down the steps of the aircraft. She stands there smiling with a large bouquet of yellow roses that she received before take-off in New York. Standing closely by her side is Laurence Olivier. “Hamlet” is not smiling. His face expresses sadness and worry when he looks at his wife. It is as he at any moment expects something horrible to happen. He can still all too clearly remember the scene that was played out a few hours ago at La Guardia in New York when his wife refused to board the plane. The flight across the Atlantic was 35 minutes delayed because of her, since it was she who delayed the take-off. Despite the sedatives Vivien Leigh had been a nervous wreck. Two wardens had supervised her every step. Danny Kaye, a friend of the Oliviers, had offered his home in order to get Vivien to rest during the exhausting trip from Lost Angeles to London. Then the ambulance doors close and the Olivers’ car sets off. In its wake drives the white ambulance carrying the great actress’ luggage. The destination for both cars is the same: a building situated in a beautiful park in the county of Surrey, 70 km from London. “Netherne Hospital” it says on the sign above the entrance. A famous German brain specialist – Dr Karl Freudenberg – has taken over the treatment of Vivien Leigh. The famous movie start is staying in one of the large, bright rooms at the nerve clinic and looks out through large windows facing green fields and pine forests. 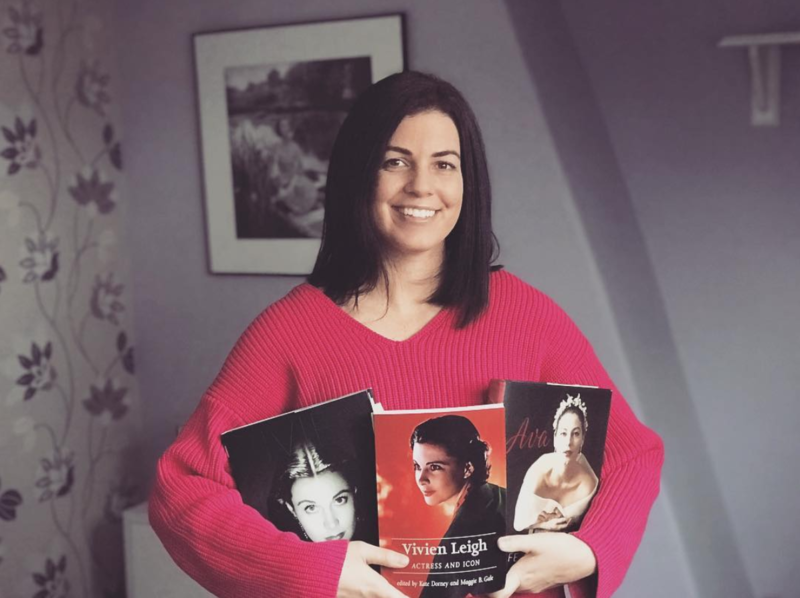 How did Vivien Leigh really get her nervous breakdown? The Brits are asking themselves. They are even forgetting the approaching coronation in their worry for the sick star. The guess is that she has exhausted herself during film work in Hollywood but the actual source of her illness is undoubtedly something else. One needs to go back several years in time to find cause. 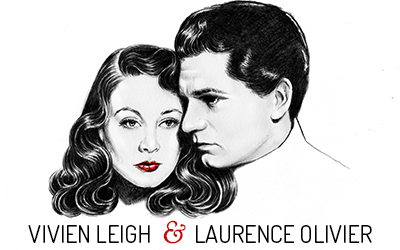 In 1941 Vivien Leigh came to New York from London together with her husband Laurence Olivier. When the aircraft flew over Boston Laurence Olivier suddenly noticed that his wife was deathly pale and with fear in her eyes was staring out of the cabin window. He followed her stare and saw that one of the engines was in flames. The propeller then fell off. The pilot decided to do an emergency landing. Neither the passengers nor the crew were injured. The landing was perfect. But Vivien Leigh suffered a nervous chock. For over an hour she was shivering all over her body as a result of this nervous strain. Surely she could not avoid thinking about that near-accident when she, after filming in Ceylon, returned to Los Angeles by air. The trip took 72 hours. The great actress had asked to travel by train and boat but this had been denied her. Time is money – in Hollywood more than anywhere else. For 72 hours she was in constant panic, waiting for death. Vivien secretary, who has blamed the nervous breakdown on this long flight and the hectic film schedule, claims that the actress was perfectly well during the filming in Ceylon. It was only after her return to Hollywood that a change in her state of health. She suffered from insomnia, couldn’t return to her own harmonic self despite sleeping pills and sedatives and she would pace the floor until 4 in the morning. Without any reason she would dissolve in crying fits, she forgot her lines and was getting more and more incoherent. She, who so feared flying, had to make yet another trip. Sir Laurence Olivier decided to make the return trip to London by air since it was an emergency situation and did not want to the risk of going by boat. And after a little while she added: – I am convinced that I will make a speedier recovery in London. These words prove better than anything else the incredible energy Vivien Leigh posses. Against her will she is often called the “The Dresden Doll” by friends and acquaintances and she certainly do not live up to that name. She is one of the world’s greatest and most skilful actresses and to reach that position one has to be made of sterner stuff. On stage and screen she always put the greatest demands on herself than on her co-workers and when it comes to costume fittings she shows no impatience and can stand still for as long as required. The Oliviers are today the greatest names of the British stage. Adored by the public, the tickets to their plays are sold out months in advance. It is therefore a hard blow to all that the premier of Terence Rattigan’s “The Sleeping Prince” must be postponed indefinitely because of Vivien Leigh’s illness. The original idea was to have Laurence Olivier and Vivien Leigh acting together in the play during the Coronation week. During Vivien Leigh’s recovery, Laurence Olivier will continue his interrupted vacation in Italy. Since he is not allowed to visit his wife he feels this is the sensible thing to do. In Vivien’s room at Netherne Hospital the pile of telegrams, letters and post cards are growing and she received fresh flowers every day from unknown admirers. Even Winston Churchill has sent his regards, hoping for swift recovery. According to the latest reports Vivien is making progress and it is believed that she will be able to act again in a couple of months. For her performance in A Streetcar Named Desire she was awarded a well deserved Oscar – and the whole world is now hoping that the popular actress will soon recover from her illness so that she can win more acting rewards.